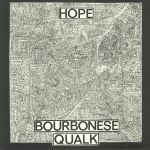 Review: The second album to be reissued by Mannequin and Platform 23 Records of the music from Bourbonese Qualk, Hope saw the politically active musical entity expand on their mix of music, art and politics. Staunchly independent, doing the recording and design via their Recloose Organisation label, by 1984 the group had occupied a large disused building on the Old Kent Road, becoming the base for the band's activities as well as other creative and political activism. 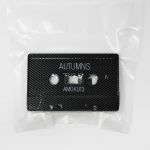 Recorded at the Ambulance Station, Hope is full of unceasing drum machine rhythms, electro pulses, echoing samples and lo-fi synths matched with strummed guitars and dub bass. The accompanying drones and snarled vocals go beyond any early 80's industrial tag to be something more unique, with the uncompromising, conceptual and avant flashes showing a more experimental buzz, an awkward quasi-funk noisy nuisance. Remastered by Rude 66, this is music as much for then and today, a radical, revolutionary cultural force that acts as a positive social charge. 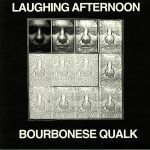 Review: "Mannequin Records and Platform 23 come together to start a series of stand-alone reissues of the music of post-punk / industrialists Bourbonese Qualk, starting with their 1983 album Laughing Afternoon. Formed in Southport during the late-70s, the band came to prominence out of South London's squat scene via their own Recloose Organisation. Early releases including the band's first experiments put to tape and the now highly sought after Sudden Departure compilation featuring luminaries Colin Potter, Eg Oblique Graph (Bryan Jones) and Lol Coxhill, laid the foundations of their burgeoning sound. Recorded and produced at the Recloose Studios in Camberwell in 1983, Simon Crab, Julian Gilbert and Steven Tanza infused their music with politically charged atmospherics, instrumental exploration, heavily laden reverb and dub, all projected by drum machine rhythms to assemble a musical collage which encapsulated strands beyond contemporary music. Track titles decipher little, as with the music, a discourse not belonging to a set style or movement, but crossing boundaries of supposition, pushing distortion and outernational leanings towards something else, a primordial discant. While tape loops warp the ears and spoken vocals propel songs like Blood Orange Bargain Day and To Hell With The Consequences and contrasting guitar acoustics pierce the mood on Qualk Street and Spanner In The Works, the overall embrace is claustrophobic, embedding a foreboding for the times. This unique, indulgent, cross genre melting pot where pounding rhythms, wailing trumpets, mournful melodica and electronic pulses all spiral in a contagious dissonance that heralded Bourbonese Qualk to the wider world.